Analog Man carries the Boss FBM-1 Fender 59 Bassman. 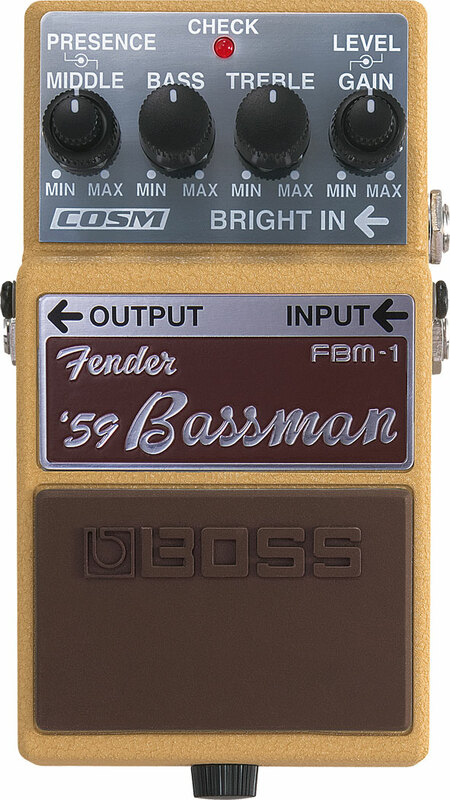 Thanks to BOSS' technology and tone know-how, the new FBM-1 brings the natural, fat, rich, bright tone of the Fender Bassman to a BOSS pedal. Fender amps of the ’50s and ’60s are beloved and coveted by guitarists around the world. Thanks to BOSS’ technology and tone know-how, the new FBM-1 brings the natural, fat, rich, bright tone of the Fender Bassman to a BOSS pedal. In conjunction with Fender, the new BOSS FBM-1 recreates the legendary tone of the 1959 Fender Bassman. 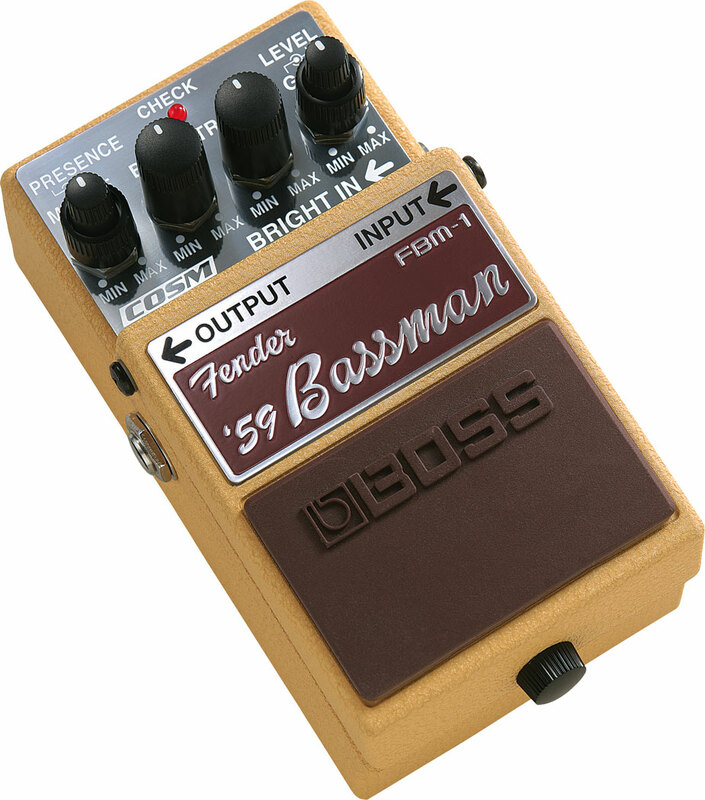 Features include the same controls on the original Bassman: Presence, Treble, Mid, and Bass EQ controls. The FBM-1 also functions perfectly as a “pre-gain pedal” placed before an already overdriven amp to add the tone character of the Bassman.